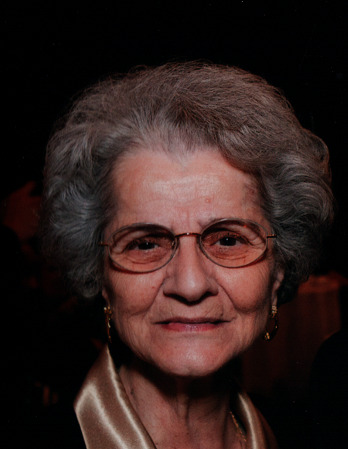 Obituary for Kyriakoula "Keri" (Floru) Petrides | Brown Funeral Homes, Inc.
Kyriakoula "Keri" Petrides, 82, of North Smithfield, RI passed away on January 16, 2019, at the Landmark Medical Center. She was the wife of the late Fred "Fortie" Petrides. She was born in Veria, Greece, daughter of the late Pavel & Stergiani (Anagnostou) Floru. She worked for the Woonsocket School Department Lunch Program. She attended St. John the Baptist Romanian Orthodox Church. She is survived by her brother George Floru and his wife Angela a sister Ida Lovely and a sister in law Viola Floru. She is also survived by many nieces and nephews. She was preceded in death by her sister Athena Ligouras and a brother Stergios "Steve" Floru. Her funeral service will be held Saturday at 11am in St. John the Baptist Romanian Orthodox Church, 501 East School St. Woonsocket. Burial will follow in the parish cemetery. Calling hours are omitted. Arrangements are entrusted to the Egidio DiPardo & Sons Funeral Home 75 Harris Ave., Woonsocket. In lieu of flowers donations may be made to the St. John the Baptist Romanian Orthodox Cemetery Perpetual Fund.